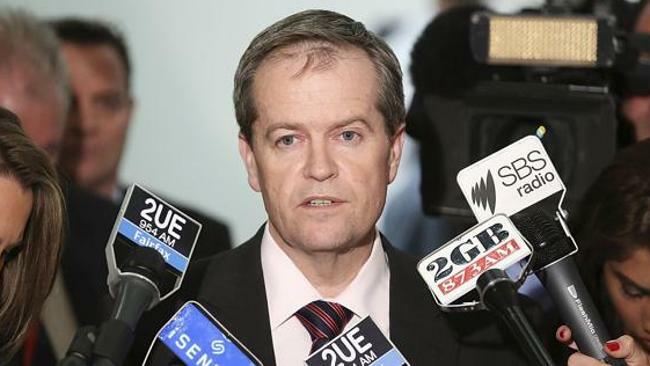 Bill Shorten remains totally unknown to more than 99% of Australian voters despite a desperate attempt to gather some publicity by streaking through the finals of the Eurovision song contest draped in an Australian flag. “Check out my strong polling,” yelled the opposition leader as he interrupted a performance by the Irish contestant, a cover of The Waterboys “The Whole Of The Moon”, during the live telecast of the event in Kiev. Shorten’s brief performance baffled the 200 million strong audience, as well as the Australian contingent at the competition who failed to identify the Labor leader and assumed he was some kind of prankster pretending to be an Australian. “Who’s that bloke”, said a viewer from Melbourne, later identified as Bill Shorten’s wife. “I wish I’d thought of that,” said Cory Bernardi, seen purchasing an Australian flag and enquiring about how to buy tickets to next year’s Eurovision final in Portugal.